Dividing nations into first- or second-class members runs counter to the founding ideals of the European Union. Large or small, rich or poor member states should be equal under the treaty. Multi-speed Europe would create rival blocs and perpetuate divisions that harm “ins” and “outs” alike. The speed of the convoy, we are told, is dictated by the slowest ship. This cliché has held back progress in Europe for far too long. Without British opposition France and Germany could have created a stronger union years ago. Now that Brexit is happening, Europe can’t afford to drag its feet any longer. Let those that want true political and economic integration forge ahead unfettered by the skeptics on the sidelines. Outsiders can always stay linked though the single market, but without the power to prevent greater unity in the core. Multi-speed Europe would mean France and Germany set the rules while the rest play catch-up. Countries outside the core will feel marginalised and mistrustful of decisions made over their heads – witness Poland’s anxiety to a seat in eurozone summits. The core will fear outliers undercut them by dodging tax, environment or social commitments. Tuning Europe into a patchwork of coalitions of the willing will ultimately destroy the Union. Multi-speed Europe already works in the EU’s most important policies. Ten EU nations are outside the eurozone. Ireland is happy beyond Schengen’s borders. Denmark shuns Europe’s Common Security and Defence policy. The Poles have opted out of the Charter of Fundamental Rights while the Czechs keep them company outside the Fiscal Compact. 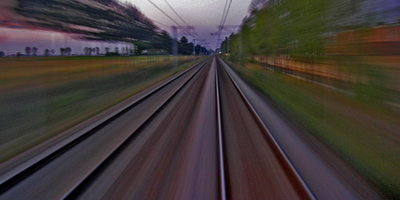 Institutionalising a multi-speed Europe would merely recognise a reality that works. The EU’s decision-making architecture is complicated enough. Adapting its structures to accommodate blocs within the bloc will create institutional gridlock. Look at the confusion among the overlapping and interlocking bodies dealing with the euro. Extra complexity also risks further alienating citizens who already struggle to understand the byzantine power structure of the EU. You can’t squeeze all EU nations into the same policy framework. The German and Greek economies do not move at the same speed, so nor should their economic policies. A multispeed Europe would be adaptable to members’ specific problems. If Greece, Ireland, Portugal, Spain and Italy were not locked into a German-designed straight-jacket of euro rules they could have devaluated their way out of the crisis long ago. 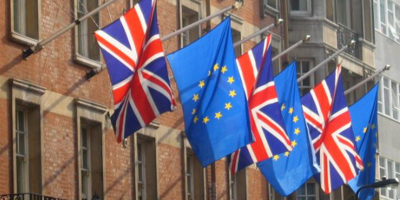 Should the UK renegotiate EU powers?